Virtual-Hideout.com: You're Not Rad Unless You're TOTALLY RAD! You're Not Rad Unless You're TOTALLY RAD! 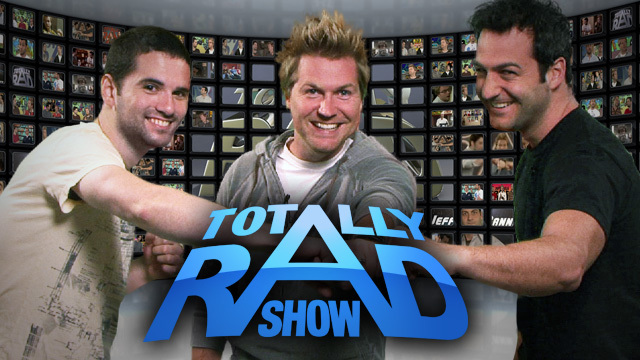 One of my absolute favorite podcast's is called The Totally Rad Show. If you have an iPod or an iPhone (or whatever else can play podcast), and you like movies, TV Shows, Video Games or Comic Books, then you really need to check out their podcast. It's a high quality production and completely free. I just subscribe to the podcast through my iTunes. There's five episodes a week (daily) and each one is a new topic. It's always entertaining, even if you're not interested in the subject covered because these guys are just funny together.